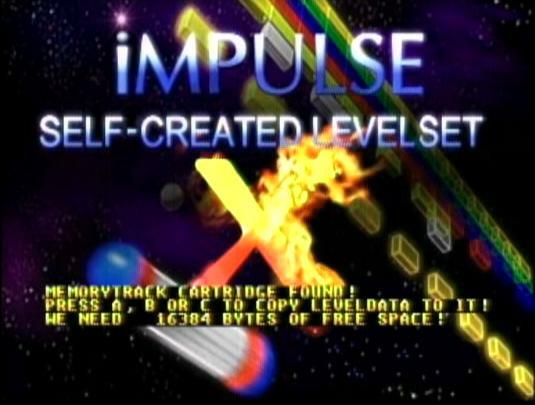 Using the CD version of Impulse X, you can store a complete set of 40 selfcreated levels onto your Memory Track cartridge. 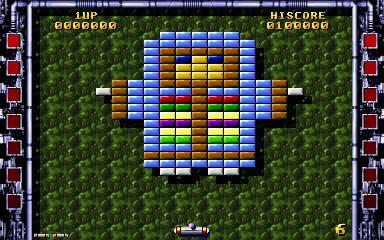 how to install such a level set on your Memory Track with the help of the Impulse X Level Import Creator using either a BJL-upload or a CD-R. 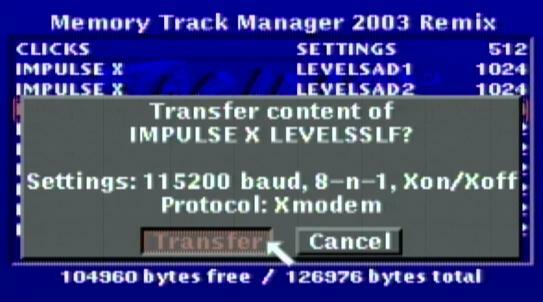 The CD version of Impulse X provides an enhanced version of the familiar Memory Track Manager which is called "Memory Track Manager 2003 Remix" and offers you the ability to transfer files stored on the Memory Track cartridge to your computer using a serial cable connection. 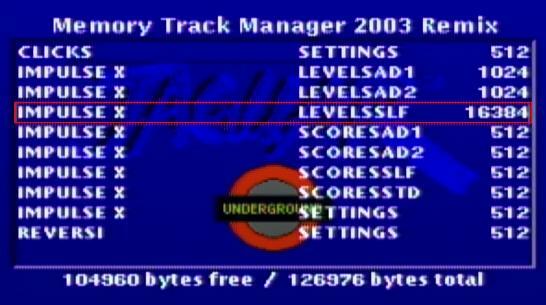 Learn more about the Memory Track Manager 2003 Remix here. 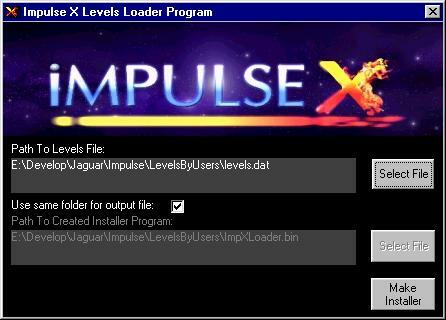 Bryan Bosley aka OMF has created a Windows program called Impulse X Level Import Creator offering a nice userinterface to merge the said Jaguar program ImpXLoader.bin with any Impulse X level data file of your choice. 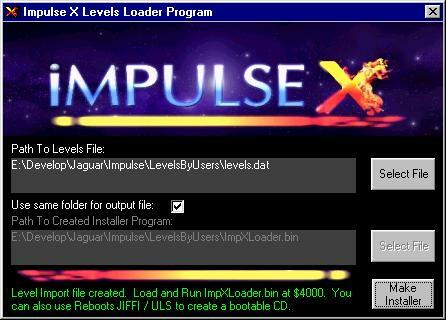 Now upload the just created ImpxLoader.bin to your Jaguar either using a BJL-cable and the BJL-upload option of Impulse X (upload/run address is $4000) or using a bootable CD containing ImpXLoader.bin (you can use Reboot's Jiffi-tool to create such a CD). Press either A, B or C on your Jagpad to let the ImpXLoader install the new level set. When the level set is installed successfully, you can switch off your Jaguar. The fresh installed level set will be available to you next time you boot the Impulse X game.